Clean, classic, timeless and contemporary, Shimansky jewellery creations are designed to celebrate the special moments in your life. 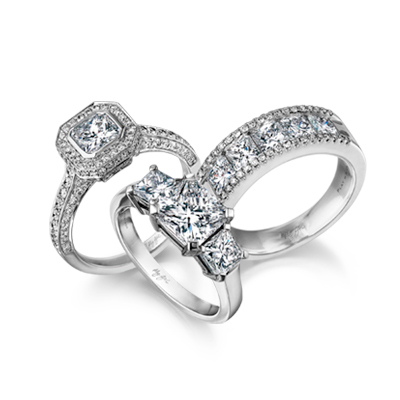 Whether you are looking to commemorate an engagement, an anniversary, a birthday, or wanting to spoil the one you love, Shimansky understands the importance of these moments. With attention to detail and elegant and contemporary designs, every Shimansky creation is a masterpiece in its own right. Unique among jewellers, Shimansky has the rare privilege of a license to buy and polish rough diamonds, direct from the South African mines. Only the finest diamonds are hand-selected for Shimansky creations, and are later transformed into beautiful, sparkling designs in Shimansky’s cutting, polishing, and manufacturing workshops. Every step in the creation process is managed in-house to ensure that each piece of designer diamond and tanzanite jewellery is completed with the pursuit of excellence.